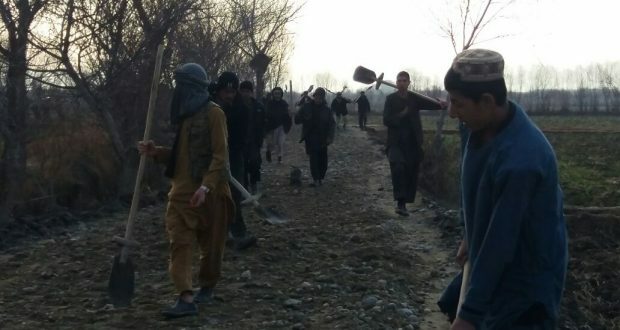 KUNDUZ, Dec.2 5– The Islamic Emirate has constructed 3 km-long road in Chahar Darah district of Kunduz province connecting parts of this district, a report says. The road is reported to be ready for the use and has been opened to the traffic yesterday. The Islamic Emirate has recently launched several developmental projects, healthcare and educational programs and conferences throughout the country. Likewise, an important bridge, part of the development work is currently under construction in Nirkh district of Wardak province to ease the problem of the people in Wardak. It is said to be completed in a few weeks. Carol Anne Grayson is an independent writer/researcher on global health/human rights and is Executive Producer of the Oscar nominated, Incident in New Baghdad . She is a Registered Mental Nurse with a Masters in Gender Culture and Development. Carol was awarded the ESRC, Michael Young Prize for Research 2009, and the COTT ‘Action = Life’ Human Rights Award’ for “upholding truth and justice”. She is also a survivor of US “collateral damage”.